We all want relive the days of our youth. Remember being young, vibrant, forceful in our thoughts and actions? Age doesn’t necessarily take those attributes away. Praiser makes that abundantly clear in their punk music. The band’s latest album, 20 Again, doesn’t bring age as its theme, but rather a collection of twenty great songs from their past. 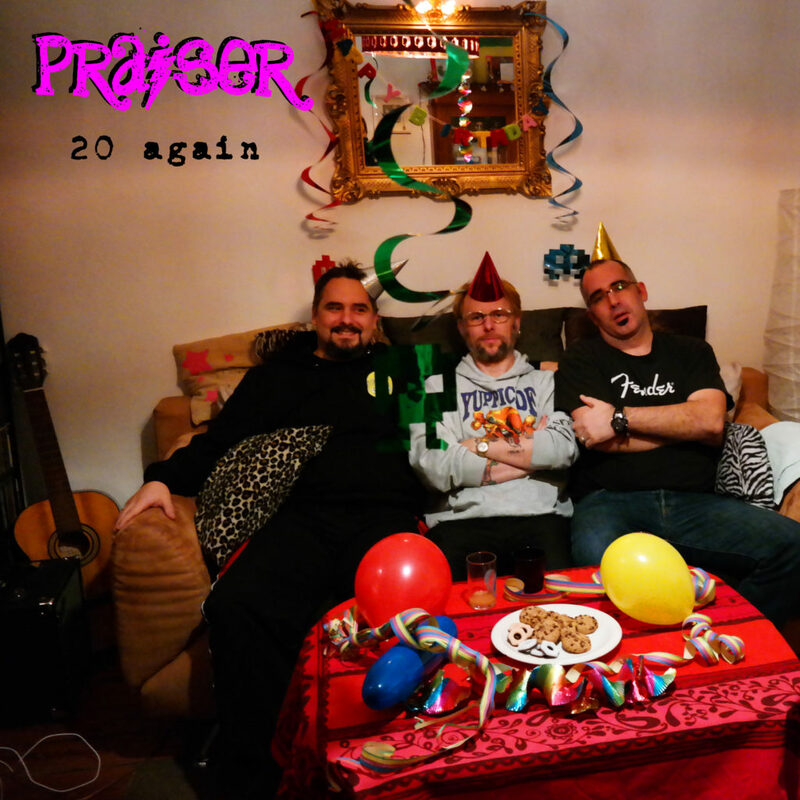 Since 2009 the Hamburg, Germany band Praiser has continuously churned out perfect punk tracks. I don’t use the term “perfect” lightly. Praiser knows what it means to be punk. They’re bold and brash about covering song topics that are vital. They’re equally dedicated to the punk scene and their faith in Christ. Conservative Christian’s may find it paradoxical for a faith based artist to include curse words in their music. Praiser isn’t one of those carefully polite Christian band’s. They say what’s important, even if that means stepping on toes or being harsh on the ears. They’ve made that abundantly clear on 20 Again. Best described as a Praiser greatest hits collection, 20 Again, delivers songs from the band’s earliest self-titled release, to 2017’s all-German language album lll. Here’s a look at a number of the standout English language tracks found on 20 Again. Considering the nature of Praiser’s music, it’s fitting that the opening song, “All My Love”, covers both their punk attitude and love for Christ. Praiser also tells about the animosity they’ve received from those in the punk scene on “Blessed Be The Punk”. Nearing the end of 20 Again, Praiser turns that same topic around and aims the homophobe label at Christians. “You Still Hate” asks why members of our faith dump on the LGTBQ community yet ignores our acceptance of our own greed, adultery, and hate. so how does being gay do any wrong? People misunderstand God and his love for us, envisioning the Divine as a harsh judge. Praiser sets the record straight on “God Is No Cop”. Praiser doesn’t point their finger at other. It’s also aimed at themselves. The band honestly reveals their own shortcomings on “No Good Christian”. The Bible never says that faith will be an easy journey. Praiser courageously states that unequivocally on “I Praise God”. Love and grace take an equal place to sharing about societal ills in their music. 20 Again may be startling and poetically harsh, but its truth prevails and urges the listener to consider their role in this world. 20 Again releases January 13th through ZAP Records.